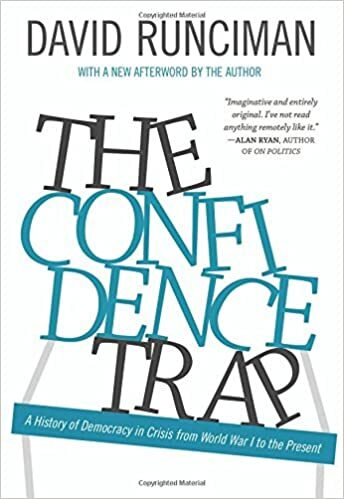 In The Confidence Trap, David Runciman shows that democracies are good at recovering from emergencies but bad at avoiding them. The lesson democracies tend to learn from their mistakes is that they can survive them--and that no crisis is as bad as it seems. Breeding complacency rather than wisdom, crises lead to the dangerous belief that democracies can muddle through anything--a confidence trap that may lead to a crisis that is just too big to escape, if it hasn't already. The most serious challenges confronting democracy today are debt, the war on terror, the rise of China, and climate change. If democracy is to survive them, it must figure out a way to break the confidence trap.